Hey everyone! Welcome to episode 3 of our Social Book Launch Journey! In this episode, not only do I update you on our book launch progress, but I share my Skinny Fox Detox results with you! How exciting! Check out the links below and make sure you SIGN UP FOR OUR MAILING LIST! This new reader experience has never been done before and you don’t want to miss out! Make sure to watch the video all the way to the end to see Bonus footage of some of my most funniest moments while filming episode 3! Hey loves! Welcome to episode 2 of our Social Book Launch Journey! In this episode, I talk about all of the fun and interesting things that happened this week for our book launch! I share a few links with you guys in hopes that they will help you with your own projects, giving you resources that may take weeks to find online! Make sure to watch the video all the way to the end to see some of my most funniest moments while filming episode 2! Anyway, I have been working on my book launch since last summer– slowly but surely and now it’s time to kick things into high gear. We are on schedule for a June 2016 Book release and there is still so much to do! The book has already been written…for 9 years to be exact but launching a book is a completely different monster in itself. I’ve researched the best ways to do this and I’m trying my hardest to accomplish these tasks as well as the unique tasks I’ve set up for myself. I figured, there have to be other self- publishers out there, just like myself who are just as lost or maybe they’ve been there– done that. So, I wanted to document my journey in episodes, telling you what I’ve done, which tasks I’ve yet to tackle and how close we are to our book launch. Doing this with you is me forcing myself to be held accountable by you…the viewer… the reader. And in doing so, I am pushing ahead to complete all of my tasks (which I will share with you) because I don’t want to make myself into a liar. I said I’m launching book, dangit….I’M LAUNCHING A BOOK! 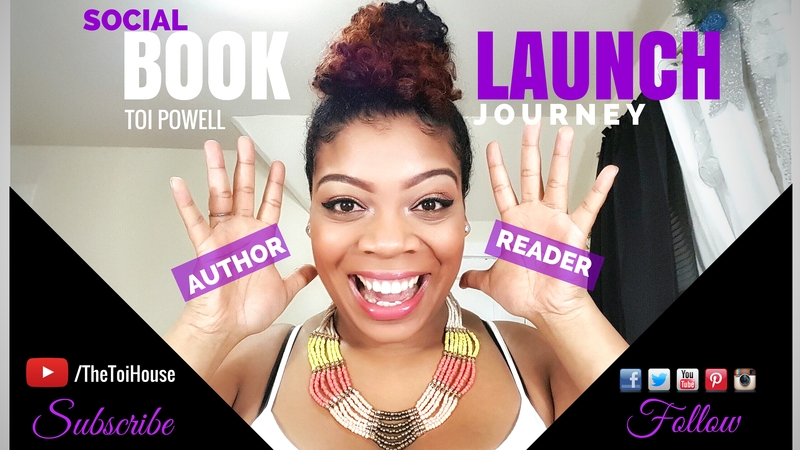 If you want to be a part of this Book Launch Journey and email campaign I mention in the video, see the links below. And make sure you follow me, subscribe and comment too! I want to hear from you!